The entire purpose of auditing financial statements and ledgers is to form your own professional opinion regarding whether or not the information in the statements is accurate and free of error. The first step of conducting an audit, you will find, is to evaluate whether or not the statements are relevant and reliable. You will review the statements to relate the facts to what you are trying to substantiate and then evaluate the evidence that you have available to you to determine if it is reliable. Once you have evaluated the the evidence to determine its relevance and that it is reliable, you will use accounting principles to test assertions. Once you evaluate the books and evidence, you will then examine the statements and prepare financial documentation following the accounting principles. During this process, you will verify that the statements comply with laws and regulations. You will also inspect the books, compute the taxes owed, verify the taxes paid are paid properly, assess financial operations, and make recommendations for the best risk management practices. The auditor may even prepare and file tax returns if they work within the organization so that there is no potential for mismanagement of funds or expensive errors. The duties and responsibilities of an auditor depends on what type of auditor they are. An internal auditor works for the organization that they perform audits for and will work independently from all other departments. They will direct the audit plan, look at key risks within the business, and come up with recommendations to manage the risk. 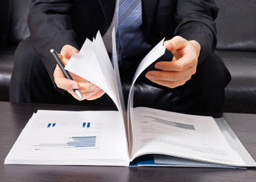 The internal auditor’s main purpose is to reduce costs and improve revenues. An external auditor works as an independent body who does not work for the organization that it is auditing. They will review the financial accounts and statements for accuracy and compliance, assess risk when giving their opinion, and evaluate the internal controls that are currently in place to determine whether or not they are effective and sufficient. The average salary of auditors as a whole is $63,550 per year or $30.55 per hour, according to the Bureau of Labor Statistics. To enter this field, you will need a minimum of a bachelor’s degree in accounting or finance and a certification. Once you hold your certification, job prospects are very high. If you want to work in the growing field of accounting and you would like to work closely with financial records, auditing could be the best occupation. Consider what an auditor does and make a choice for yourself.